10 Year Wedding Anniversary! 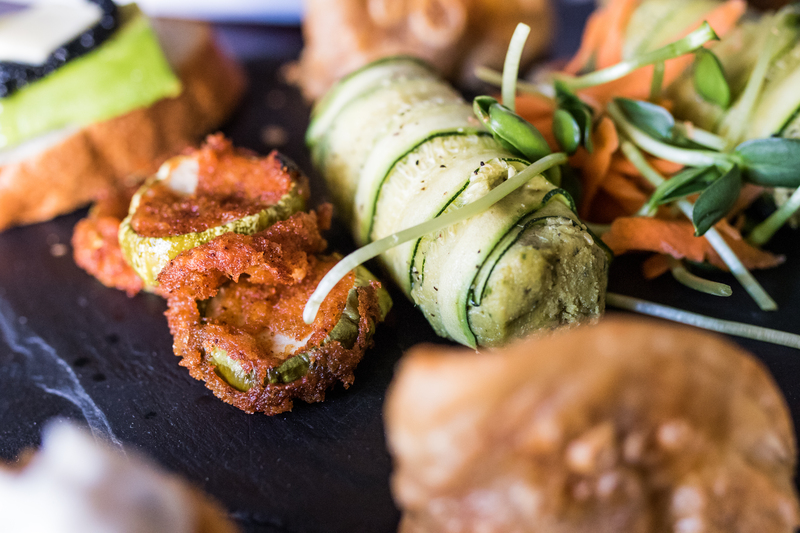 NYC Vegetarian and Vegan Restaurants! Ritter and I celebrated our 10 year anniversary with a four day trip to NYC. This post is about the food we ate there! We researched vegetarian/vegan restaurants, and had a blast! Our trip consisted of amazing gallery visits, museums, etc, but food was more than half of the purpose of our trip. 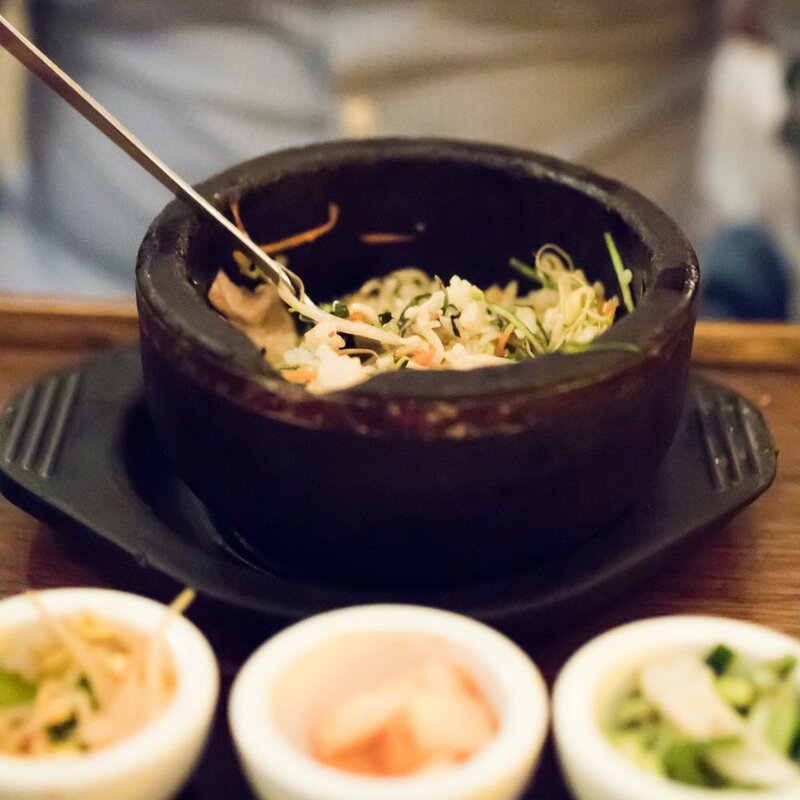 Our first meal was at TAÏM at their West Village location. On our trip, we had meals that cost hundreds of dollars, but the $7 Falafel sandwich here might just be our favorite. We chose the Harissa flavor falafel, and had it "with everything." We also had the Mediterranean Platter, with choice of Israeli salad, tabouli, and Moroccan carrots. I must admit we went back on our third day. We also tried their kale apple banana ginger smoothie, and it was amazing. No picture because there were so many people in the restaurant, and with it's six seats, we were standing by a ledge. I don't care if they don't have sitting room, I'm trying to figure out how to convince them to come to D.C.! Blossom is a restaurant in Chelsea. Completely vegan, and wonderful. 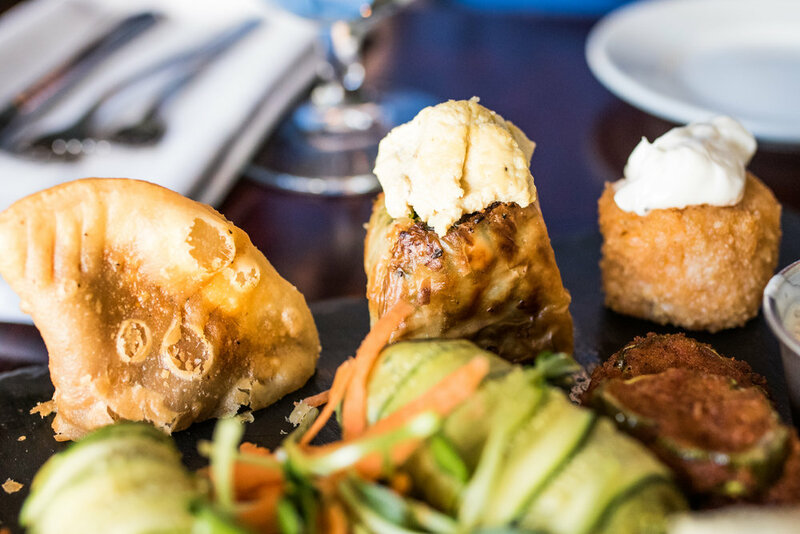 This is the Spanakopita deconstructed! Those fried pickles might have been the best thing during the whole meal! This Risotto was a special, and not on their normal menu. I can't remember all of the ingredients, but it had artichokes, peas, mushrooms, and truffle shavings. This was the hickory barbecue tempeh, with roasted fingerling potatoes, sautéed collard greens, and horseradish créme fraîche. Chennai Garden by Tiffin Wallah (most online blogs just call it Tiffin Wallah) is an all vegetarian Indian restaurant. They have a $9.95 lunch buffet, and Ritter and I just about died eating there. Absolutely amazing flavors and textures - I can't recommend it more except that you have to remember to limit how much you eat. Walking might be hard if you eat more than two plates! 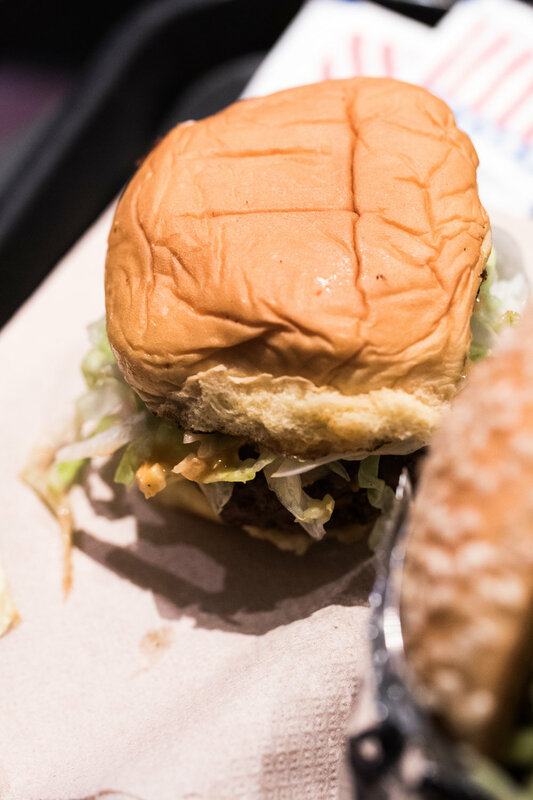 Everything at Superiority Burger is vegetarian, and much of it is accidentally vegan. They can also make anything vegan. The restaurant is always included in the best vegetarian restaurants of NYC, and for good reason. I had the Superiority Burger, and Ritter had the bigger Megamouth. 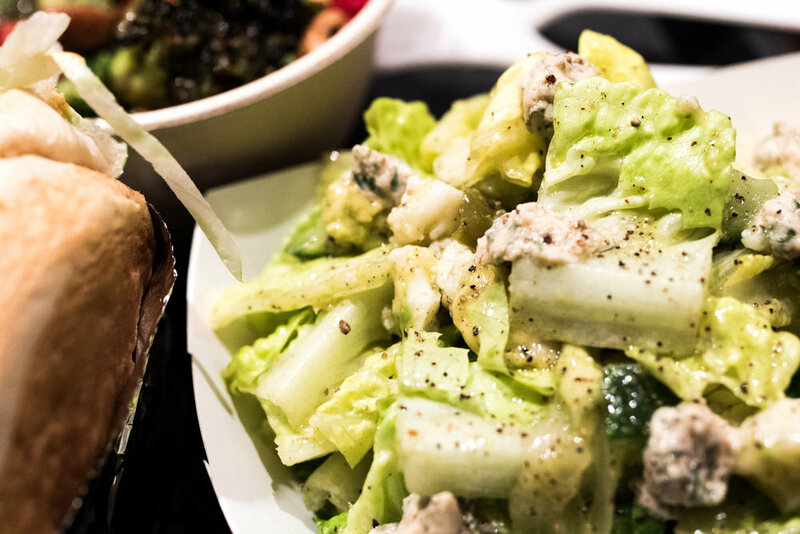 We also had the Burnt Broccoli Salad, and the Tahini Ranch Romaine Salad. Yum! We walked under one umbrella in a thunderstorm for 20 minutes to get to Superiority Burger. It was worth it. Next is our most expensive but also one of the most amazing meals I've ever had! 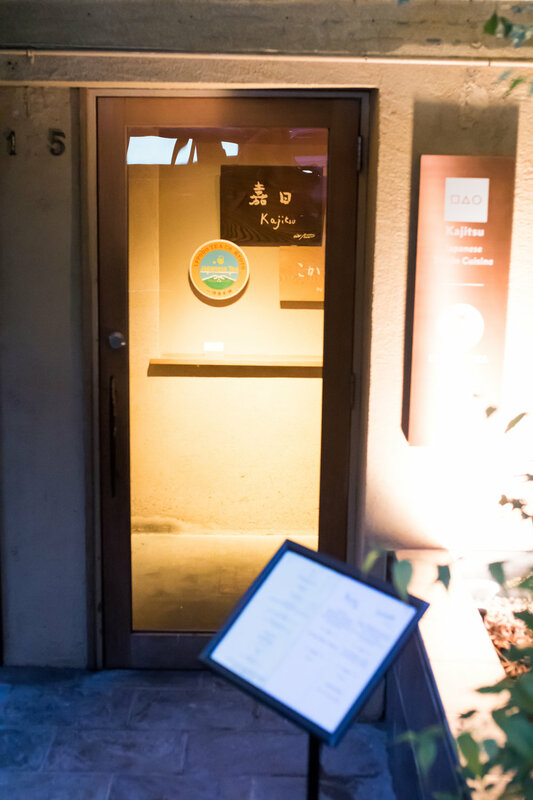 Kajitsu is a Japanese vegetarian restaurant with their basis in Shojin cuisine. It is one of two vegetarian restaurants in NYC with a Michellin star. We got reservations at the Chef's counter. It was amazing seeing the food prepared in front of us. We had the ten course Omakase meal. This is the June Vegetable Plate. Smoked eggplant, white miso foam, and edible flowers. Creamy Celery Root Soup, with corn, junsai, and yuba. Seasonal Assortment, with cypress seed, carrot, spinach, fiddlehead fern, white wood ear mushroom, water melon radish, okra, fried tofu, shiitake, scallion, fava bean, pumpkin, hijiki, fuki, red pepper, young peach, and Japanese bay berry. Newly Harvested Onion “Nabe” with burdock root, Seri, bean sprout, morel mushroom, scallion, sesame, and nama-fu. Apple sorbet with strawberry foam. Mizuyokan - made with azuki bean. Matcha with Candies Matcha by Ippodo, Candies by Kagizen-Yoshifusa from Kyoto. Last but not least is Hangawi - a Korean vegetarian restaurant in Koreatown. 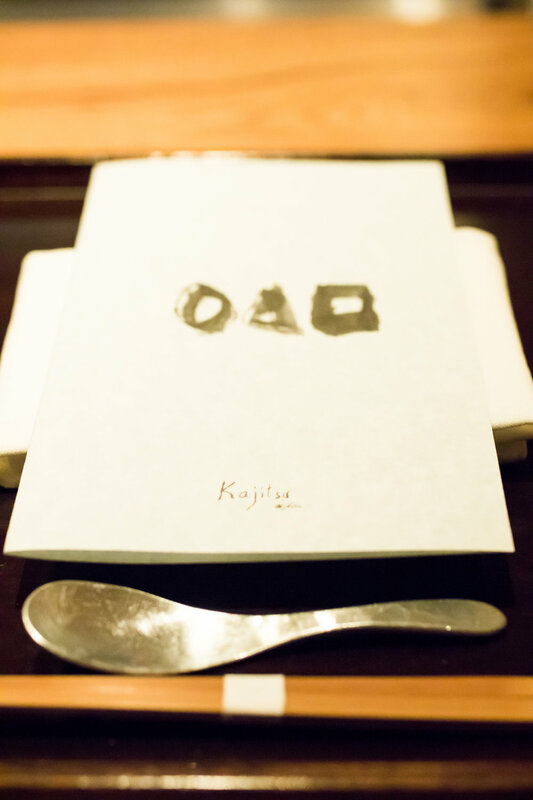 It has been named best vegetarian restaurant in NYC, and it was a wonderful experience. Korean noodles in vegetarian broth. 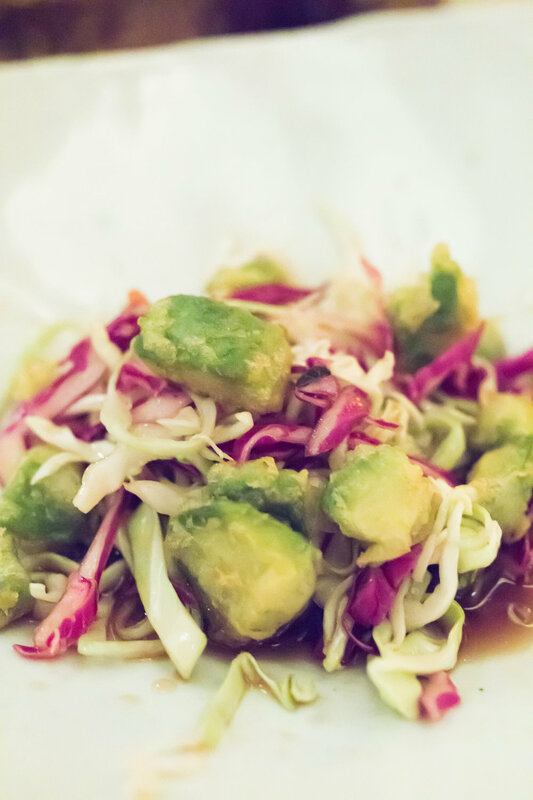 Purple and green cabbage salad with enoki mushroom and avocado fritter in Korean plum dressing. I know, doesn't it sound amazing? The second picture is of a spinach and sweet corn porridge that they gave us on the house because the food took some time to come. We had more than two hours to eat, but we needed every minute! Our dessert! 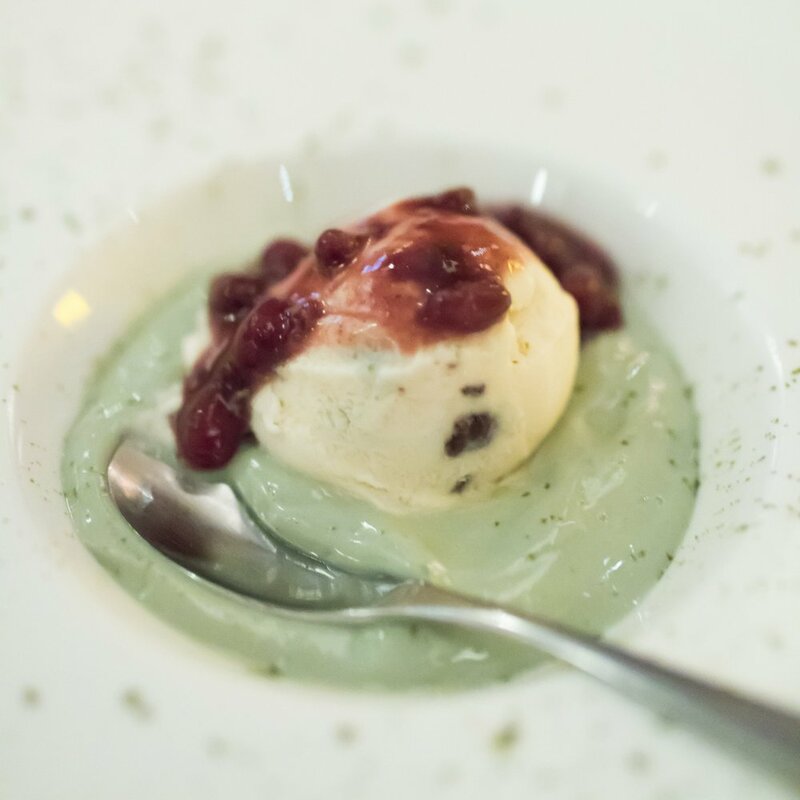 Green tea pudding, with vanilla ice cream and red bean topping. Yum! Thanks so much for reading all the way to the bottom, and hope you vicariously enjoyed our food trip!